Paul Grace joins from Coca-Cola European Partners. 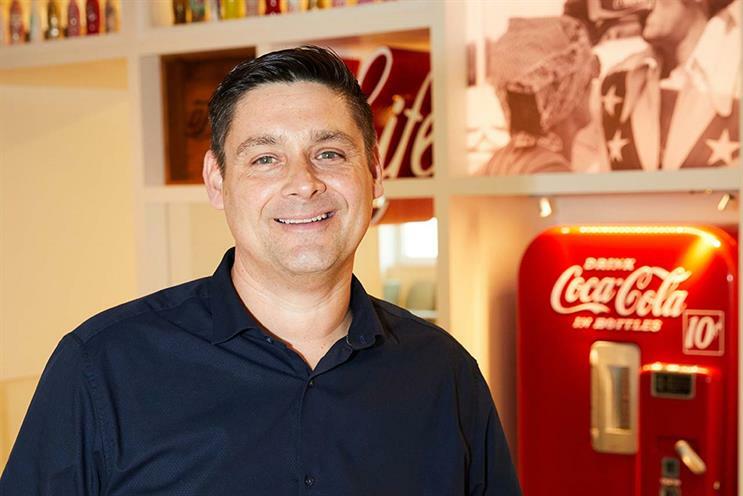 Coca-Cola has hired Paul Grace, formerly sales director at distributor Coca-Cola European Partners, as its new GB marketing director. He started in the role this month and replaces Aedamar Howlett, who succeeded Bobby Brittain in August 2016. Howlett was promoted to a European role at Coke. Grace has worked at CCEP, which distributes Coke products in several European markets, for 14 years. He was promoted to sales director in 2015. In his new role, Grace will take responsibility for Coke's marketing strategy and activation in Great Britain and Ireland across brands including Coca-Cola, Glacéau Smartwater, Schweppes and Fuze Tea.